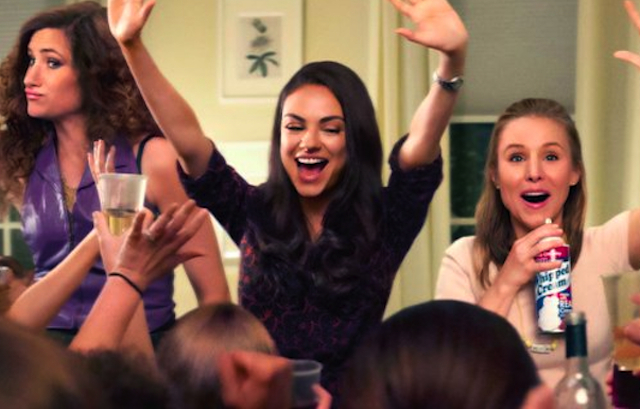 CHICAGO – “Bad Moms” is another raunchy women behaving badly comedy that never met a curse word it didn’t like. But I’ll say this for ‘Bad Moms,’ it’s rebellion comes from a relatable place. What parent hasn’t wondered if they were in some way failing their children in some way by failing to live up to our pinterest levels of perfection? The story centers on a trio of moms who decide to rebel against the constant and constantly shifting demands of perfection we place on children. Mila Kunis is an overstressed mom working part time, while shuttling her equally overstressed kids to school. She’s juggling household chores, with work, kids soccer games, and her school’s PTA obligations. She’s constantly late for everything and beginning to buckle under the strain worried she is screwing up and letting her children down. Kristen Bell is a nerdy stay at home mom of four who never seems to be able to get out from under the constant demands of childrearing to even get out of the house. And then there’s saucy single mom Kathryn Hahn who likes to make inappropriate comments to other parents while dropping her own son off to school, and proves to be the film’s biggest source of consistent laughs. After a particularly stressful day where anything and everything doesn’t seem to go her way, the Mila Kunis Mom snaps at the rigid standards for the upcoming bake sale imposed by the perpetually perfect PTA president Christina Applegate.